Phillip The Egg is Magic Bus’s third full-length album release. 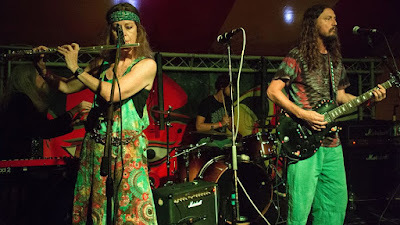 Hailing from Totnes, Devon, they are a staple of the psychedelic/progressive rock festival scene in the UK and have received international radio and print media attention. The personnel on this album includes Paul Evans – lead vocals, guitar; Terence Waldstradt – lead guitar, vocals; Jay Darlington – keyboards, vocals; Viv Goodwin-Darke – flute, vocals; Wihil Mellorz – bass; and Connor Spring – drums. 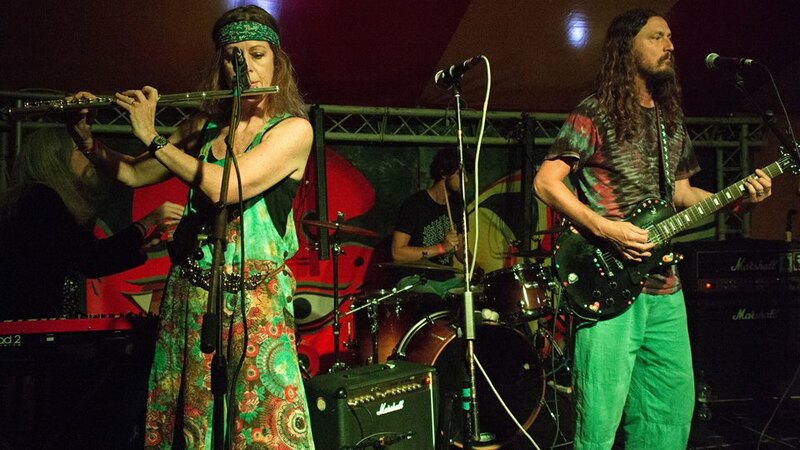 Their sound is reminiscent of the late 1960s and early 1970s Canterbury “prog” scene while at the same time all their own. “Mystical Mountain,” for example, is finely coordinated and highly composed with complex instrumentation. The musical story of each tune fits as part of the whole to take the listener on a lucid journey where each musician has a voice. On “Trail to Canaa,” Goodwin-Darke’s flute soloing creates musical pathways, eddies within the ebb and flow of the tempo. The music changes to cut-time with Darlington soloing on organ against Waldstradt’s and Evans’ guitar work. The awakening-feel with the mantra-like chorus and South Asian character of “Zeta” contrast with the guitar-flute duetting in cascading progressions, the synths rising and then falling like a meteor shower on “Distant Future.” The 9/4 rhythm on this tune finally leads out to an almost ‘70s jazz feel. “Kepler 22B” and “Yantra Tunnels” echo Turkish or possibly Eastern European folk music with dissonant guitar chords over tom patterns. Guitar and keys complement Goodwin-Darke’s flute playing, then Waldstradt and Darlington trade solos with each other. 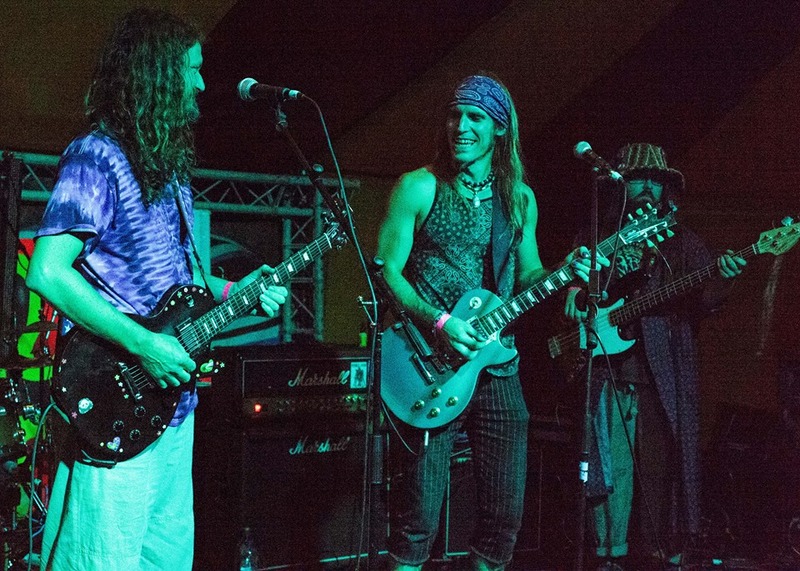 The melodies and lyrics tell a story while alternating between straight ahead rock and odd-time prog with a traditional feel. Mid-tempo syncopated rhythms that cut to half-time might seem incongruous with the climactic time signature changes in basic musical theory, but they weave together seamlessly. 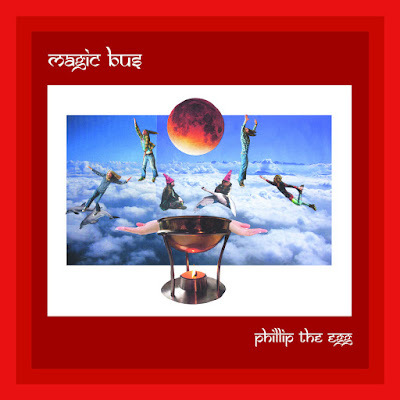 On Phillip The Egg, the members of Magic Bus have created something bold and new, offering a nod to their European prog forebears all while going much farther back in time. Good review and looks like an interesting group to check out.